These fifteen ailments afflict the church in the West in general. They also afflict much of evangelicalism in particular. In this vein I would like to do a countdown of Pope Francis’ Fifteen Ailments and ask you for several days to apply these to our own spiritual reformation. No. 15 Seeking worldly profit and showing off. My long held impression is that evangelical churches, and mega-church stars (with some wonderful exceptions), have been showing off for decades. What amazes me is that so many of our popular leaders still defend this practice in the light of who Jesus is and what he taught us about living the Christ-life. When I recently saw a list of the salaries of some of our best known public figures I was shocked. Many of our “stars” are millionaires. The lifestyle of the rich and famous has nothing on evangelicals. No. 14 Forming “closed circles” that seek to be stronger than the whole. In the light of evangelical leadership scandals of 2014 this warning clearly applies to our churches and leaders as well. Our informal “curia” is sickened by “closed circles” of power and manipulation that create a superstar following for our favorite pastors and authors. Only after multitudes have been destroyed are these leaders finally brought down but many get up and go again. Just listen to how you will hear this when people say, “I go to –––––––– church.” The name they use is the name of the pastor of their church as if their church belongs to their pastor! This goes right along with number 14. Whether it is “health and wealth prosperity” or the gospel of “more and more” we fall into this trap routinely. And we have great defenders of it galore. I confess that I continue to fight this every day. Some years ago I learned during Lent just how true this was in a major area of my life and had to do some serious repenting during those weeks. 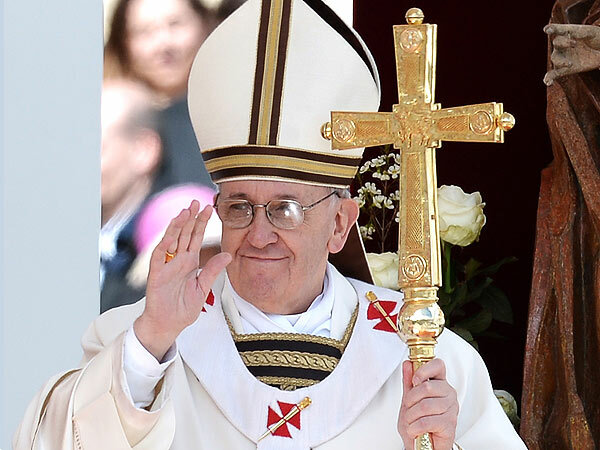 This pope reminds us that we are not called to the opulence of kings if we are Christian servants. Money is not evil, nor is wealth, but there is no place for such opulence among those who are called to serve the church and the poor as their mission. Having spent 14 years of my career working inside a large Protestant denomination, I cheered after reading about this event. What’s true in the Curia is true throughout the whole church.